I am short on info about this one. 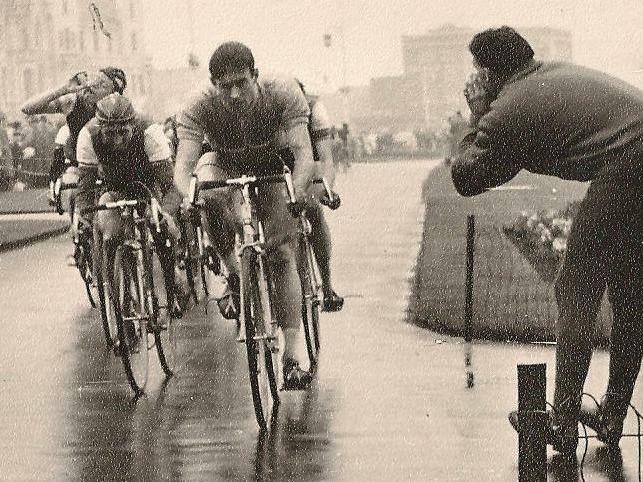 I reckon that is Vin Denson powering along on the front with Bill Bradley second. That said I don’t recall seeing Billy wearing a crash hat before.